Will The Maryland Legislature Address Synthetic Marijuana? In the past few years the Maryland legislature has weakened its stance on the prosecution of marijuana possession cases. This trend began with the passing of laws that allow defendants charged with possession of marijuana to assert the legal defense of medical necessity. The Maryland legislature also went on to pass a law that will decrease the maximum jail sentence that a defendant charged with a first offense of possession of marijuana can receive. Come October, a first offense for marijuana possession will carry a 60 day maximum jail sentence rather than the scarcely used 1 year maximum jail sentence. Surprisingly though, the Maryland legislature has remained silent on the issue of synthetic marijuana. Synthetic marijuana is not a new substance, as it has been around for almost 10 years, but it has become increasingly popular over the last few years. More gas stations, convenience stores, and liquor stores are beginning to stock their shelves with the substance often referred to as spice or K2. And the synthetic marijuana has been flying off these shelves lately as a legal, easy to obtain alternative to marijuana. The substance is also desirable because although it can be tested for, it does not produce a positive drug test for marijuana or cannabis. With the increase in synthetic marijuana’s popularity comes increased attention by lawmakers and law enforcement, but will lawmakers actually take action to regulate the fake marijuana? There are currently upwards of 12 states that have enacted laws regulating synthetic marijuana, beginning with Kansas in 2010. Many states are currently debating synthetic marijuana laws, and some states, such as New Jersey, have banned the substance in the last few months. Maryland has not banned synthetic marijuana, and is not currently debating any type of regulation for the chemically laced plant material that is often labeled as incense. Synthetic marijuana bills have actually been introduced in both the Maryland house and senate, but these synthetic marijuana bills never hit the debating floor because they did not receive a required committee vote. As it now stands, synthetic marijuana is not illegal under Maryland state law, but that does not mean the substance is legal in Maryland. The DEA has recently banned 5 of the main substances used in traditional synthetic marijuana, making them illegal under federal law. These substances, including a synthetic cannabinoid compound called JWH-018, are now being slightly altered to avoid these federal bans, but Maryland shelves are still stocked with marijuana imposters such as spice and K2. The long term effects of synthetic marijuana are unknown due to the fact that the substance has only been around for about 10 years, and there is no standard formula for each of the commercially produced blends of the fake marijuana. Many people though have argued that the substance is much more harmful than actual marijuana, because the user is ingesting an unpredictable chemical substance. If in fact the substance presents a danger to users, it is only a matter of time before the Maryland state legislature becomes involved. For now though, Maryland police officers are limited to enforcing the federal laws against synthetic marijuana. Although Maryland cops can make arrests for possession and sale of federally banned synthetic marijuana, state prosecutors are unable to prosecute synthetic marijuana cases under Maryland state law. Time will tell whether the Maryland legislature becomes involved in synthetic marijuana regulation, but judging by the recent relaxing of state marijuana laws, synthetic marijuana does not appear to be a burning issue in Annapolis. 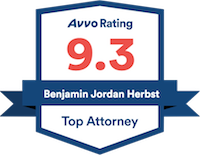 Benjamin Herbst is a Maryland marijuana lawyer specializing in possession of marijuana, sale and distribution of marijuana, and marijuana trafficking criminal cases. If you or someone you know has been arrested for a state or federal drug crime in Maryland, contact Benjamin Herbst at The Herbst Firm for a free consultation. 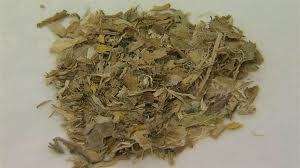 Officials warn of synthetic marijuana, somdnews.com.